« Radiohead's album "In Rainbows" draws a surprising number of "freeloaders"
I’m all for openness, open source, Linux, Wikipedia, the whole community. 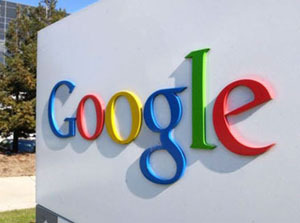 And I love the fact that Google is in partnership to develop an open mobile operating system, which in theory should lead to new and exciting innovations for our cellphones. The product developer in me has seen this many times. A group of people get together — researchers, industrial designers, hardware engineers, software engineers, the electrical guys, marketers, number crunchers, project managers, consultants, vice presidents, parts sourcing, manufacturing, interface designers — with the sole desire to design, develop and manufacture a successful product. With any luck, that product might be an industry-changer. Or, as we now know it, phones developed and manufactured by others that uses the free and open-source Google mobile operating system Android. It’s that phones developed and manufactured by others that really bugs me. Rarely in my product development days working on cellphones (and other products) have I ever seen a design, development, and manufacture go according to plan, especially on the scale Google envisions. It does happen. Look at Apple’s success with the iPhone. Or Nokia as the number one cellphone manufacturer in the world. Those are special cases and, dare I say, examples of mostly closed, controlled development. But I’m not arguing closed vs. open. What I’m saying is that, at this early juncture, if Google, its Open Handset Alliance partners, and the minds behind Android don’t unify and work together to produce cellphones that are a joy for us to use and meet our evolving Internet-mobile needs, then an opportunity is missed. And we will have Windows Mobile all over again, an operating system packaged differently by a variety of handset manufactures and mobile carriers. Fine for business types and techies, but not for the majority of us. So here’s a quick list of what’s bugging me about the Google phone, or the phones manufactured by others using the Google operating system Android. Oh, whatever. Can you really get the more than 30 companies of the Open Handset Alliance to work together, to cooperate, and in doing so put aside their own initiatives for the betterment of the whole? I agree with Om Malik: None of the handset partners are betting the farm on Android, but instead are hedging their bets. HTC, the leading manufacturer of smartphones, will continue to produce Windows Mobile devices. It makes them a lot of money. Motorola, whose fortunes as a handset manufacturer are floundering these days, is a founding member of LiMo Foundation (GigaOM), a group that has the backing of carriers (like Vodafone and DoCoMo) looking to develop Linux as a mobile OS. The concept behind Android is great. It’s free, open, and you can just imagine all the wonderful applications developers will come up with. They can start next week, when the SDK is due. But will Google-powered phones by truly open? I expect participating carriers — T-Mobile and Sprint in the United States and others worldwide — to develop their own locked-down versions. I see the carriers working with manufacturers to twist Android to meet their specific needs, and in the process losing some of that openness. 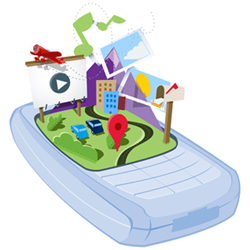 Symbian, used by Nokia and others, is a platform that powers many of the world’s phones. Since its launch nine years ago, 165 million phones shipped use Symbian. Forsyth and others note that developing mobile operating systems and interfaces is nothing like Web search, which Google obviously dominates. Google is happy to share ad revenue with the carriers, which is great for the carriers, and Google makes even more money. But what about us, the users of the Google phones brought to you by Samsung, Motorola, LG Electronics, T-Mobile, Sprint, DoCoMo? We say we’re willing to accept a little AdSense in exchange for cheaper phones and better rate plans. When you think about it, AdSense in a computer browser on a large display isn’t so bad. You can go about your business and never even look at or be bothered by the ads. But on a cellphone, with a much smaller display, those ads suddenly look gigantic and invasive, no matter how they’re presented. Google’s ad-supported approach is expected to bring cheaper phones and rate plans to the consumer — but not before the last part of 2008. But how much cheaper? Carriers already subsidize fashion and mainstream phones, offering them for free or 50 bucks with a two-year service commitment. With what is expected of Google-powered phones, they’ll be more smart than fashion. Carriers also subsidize smartphones like the Motorola Q or Research In Motion’s Blackberry. But even those phones cost $200 or more with subsidy. Will Google-powered phones drop the smartphone entry point to $50 or $100? Will these phones enable and empower the non-business, non-techy masses? What people often forget is that great user experiences come at a price. That’s why you pay a premium for Apple products or the higher-end Nokia phones. They spend a great deal of development money on design, interface, the user experience. Will Google-powered phones offer a fantastic user experience or, because there are so many cooks in the kitchen, will they be half-baked like many of Google’s Web applications? While I’m crossing-my-fingers encouraged by Google’s effort, and while I want to see Google, Apple, Nokia, and others upend the U.S. mobile industry, I’m skeptical and disappointed that Google didn’t design the phone itself. 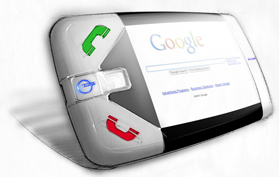 What if Google and Android partnered with the legendary IDEO for the design of the handset? What if Google took IDEO’s design and worked with HTC on the manufacturing? What if Google struck deals with the major carriers worldwide to offer an actual Gphone? Instead, we’re left pondering different What Ifs. What if members of the Handset Alliance deliver? What if they don’t? What if Android turns out to be the best mobile OS on the planet? What if all these open-source developers make a mess of it? Do we really trust Samsung, Motorola, LG, T-Mobile, Sprint, and all the others to deliver? What if, because of Google’s approach, these phones are just ordinary? I agree with your thoughts completely. Daniel – great commentary – you put up real points for discussion – one that gets away from hype to the realities of execution. You make a good attempt to state the obvious challenges – an exercise that has eluded most of the write-up on the subject matter. A refreshing read!